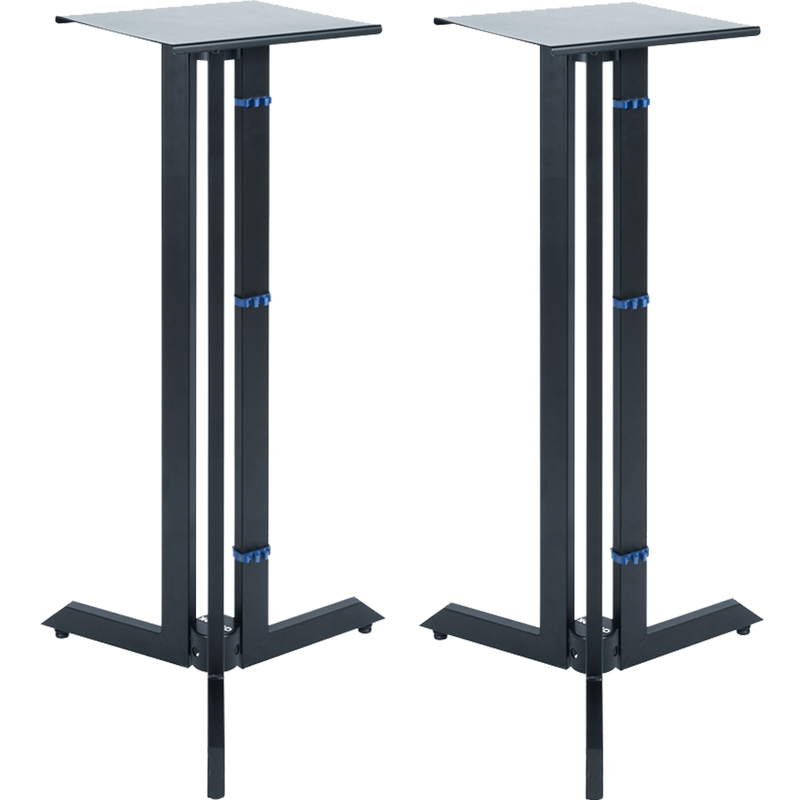 These quality speaker stands are of a fixed height of 36" and are designed to support weights of up to 57Kg. They are the ideal choice for professional or project studios. This updated design incorporates a cable management system and the vertical columns can be loaded with sound which will further improve the stability and deaden the sound. The sturdy metal top plate is equipped with rubber foam strips and is 11" squared which will accommodate most studio monitors.